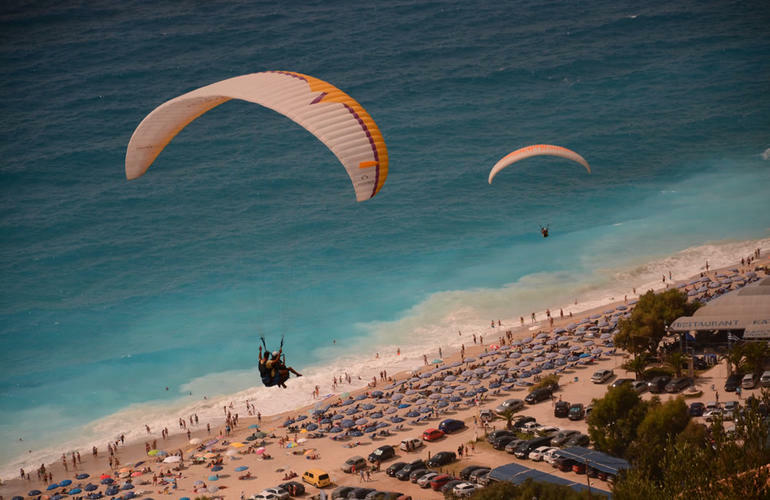 You're missing something of your holidays if you haven't booked yet your paragliding flight over the famous "Kathisma" beach in Lefkada. 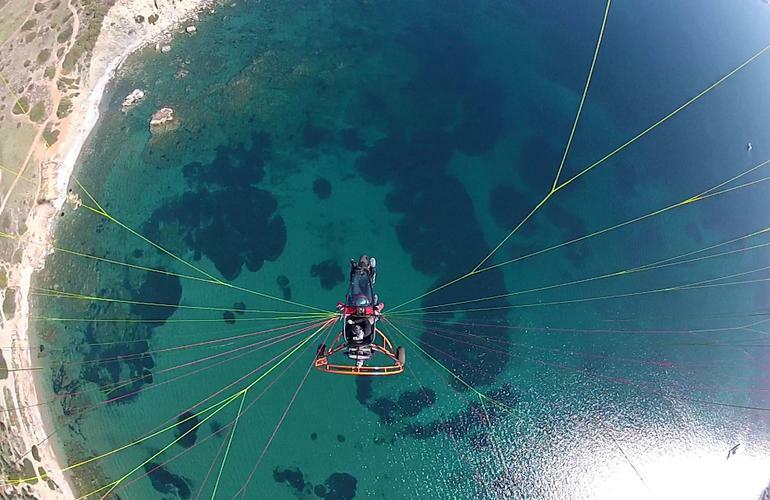 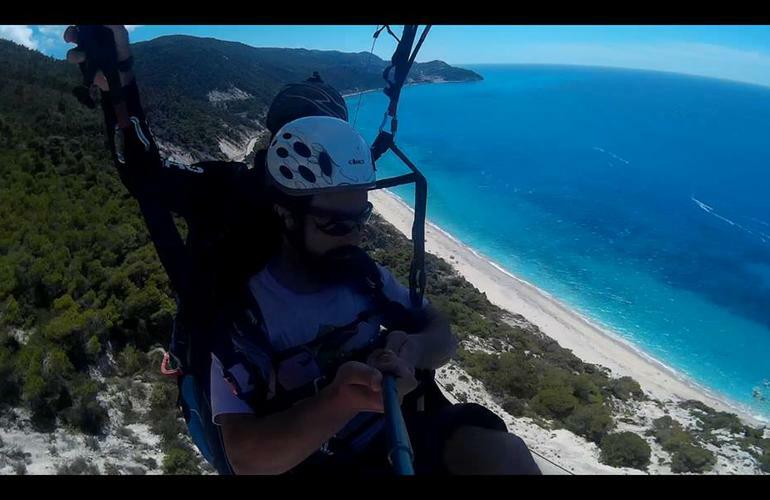 A thrilling adventure awaits you in Lefkada island to fly over the island and enjoy the great views to the turqoise blue sea and the green forests of Lefkada. 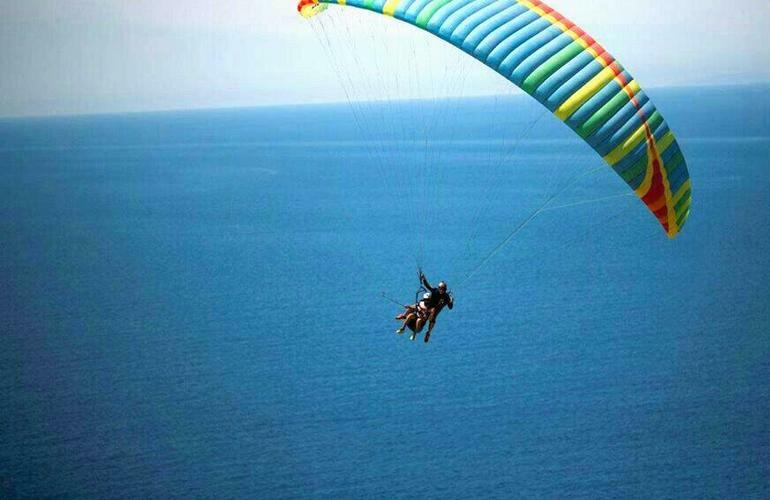 A tandem paragliding flight is the best way to have your first experience flying. 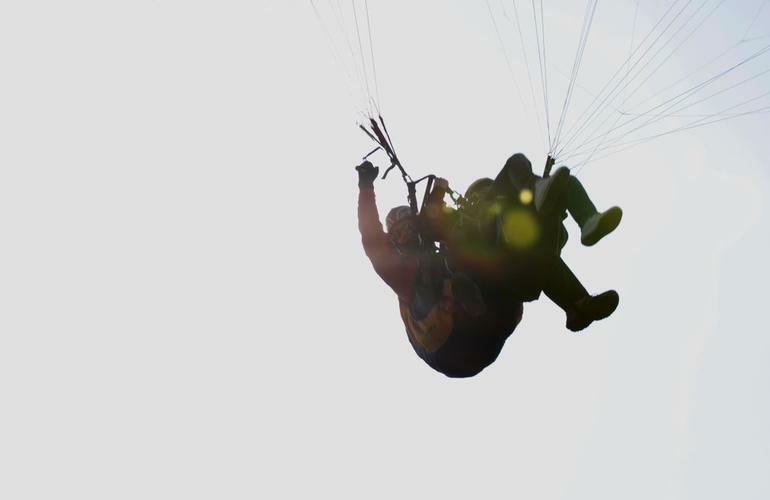 Harnessed to an experienced instructor, you will have the chance to admire the incredible views while sitting back relaxed. 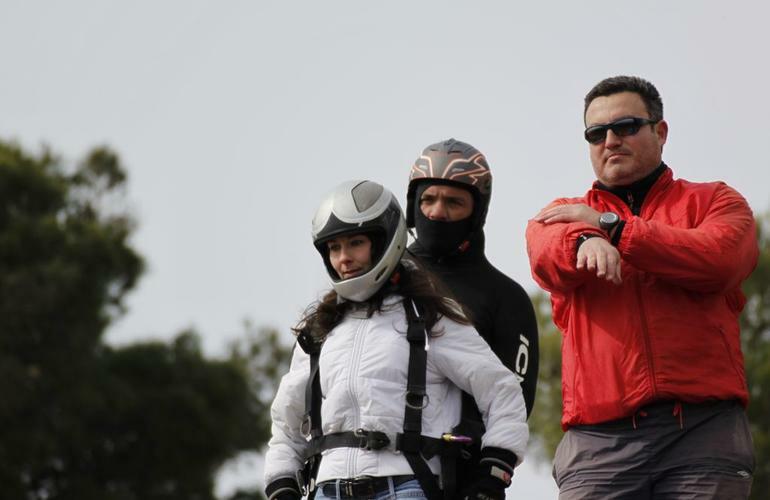 Your instructor will brief you of course before the flight, get you harnessed and then take care of everything while on the air. 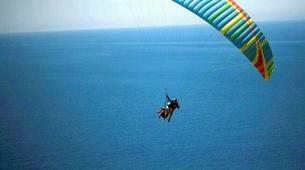 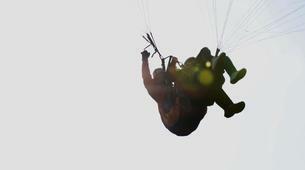 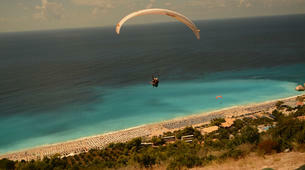 Paragliding is totally safe and fun for everyone. 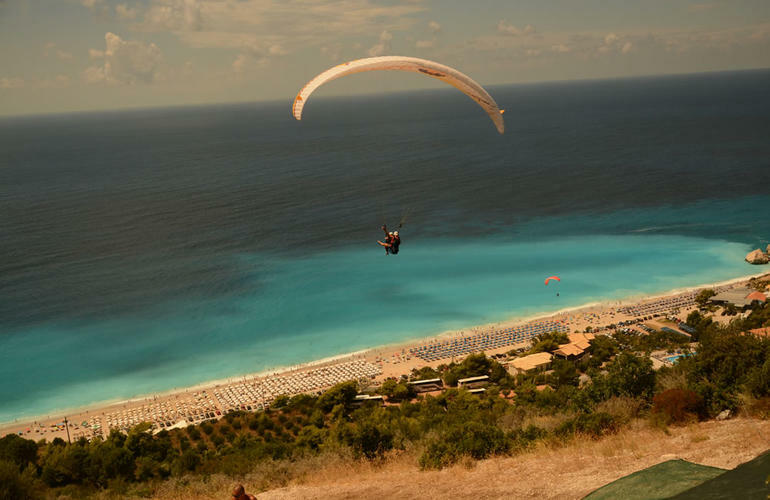 You do not need to be fit to try paragliding, or have any excessive powers... all you need is to make a few steps and the glider will inflate taking you over the clouds. 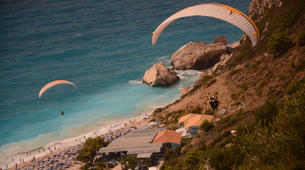 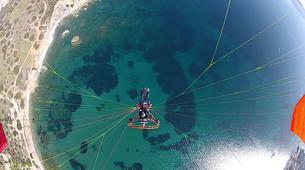 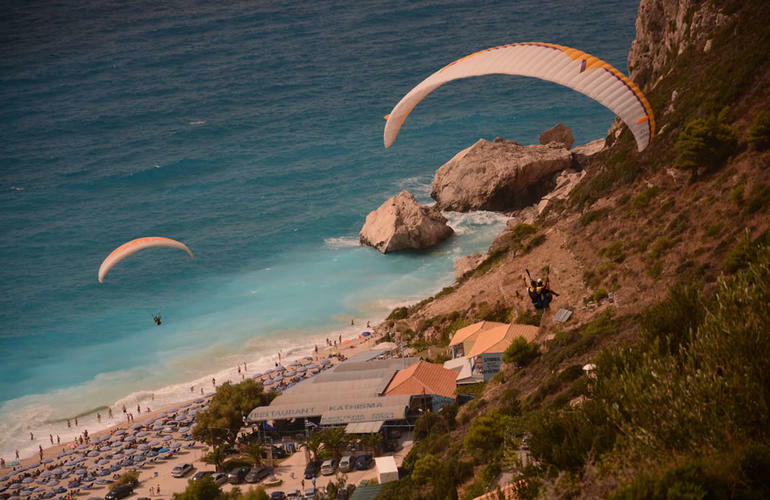 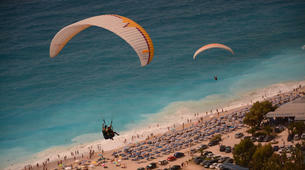 Paragliding in Lefkada should be on the top of your list if you are visiting the island. 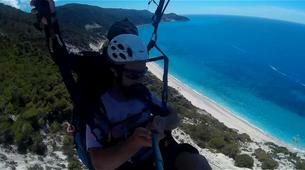 An amazing experience, with a well experienced instructor to take you over Kathisma beach in Lefkada.